About 10 years ago (around the time unironic mustaches started to come back in style with a vengence), those little mustache finger tattoos started popping up. Yes, they’re adorable, and it’s definitely a crowd pleaser when you whip one out at a party — but mustachioed fingers are not exactly high fashion. It’s always fun to be able to put a mustache on a baby at any given moment, however “chic” isn’t exactly a word we’d associate with this particular tattoo. 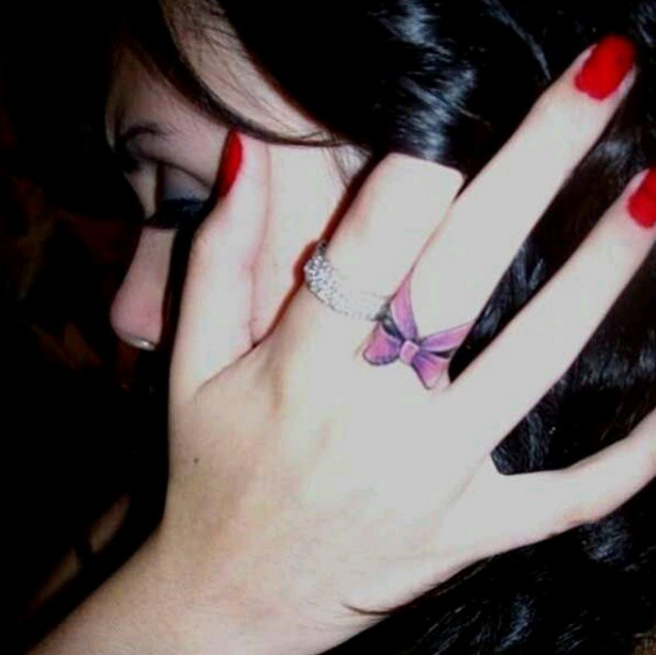 Luckily, there are about a million different ways you can take a finger tattoo if chic is what you’re looking for. 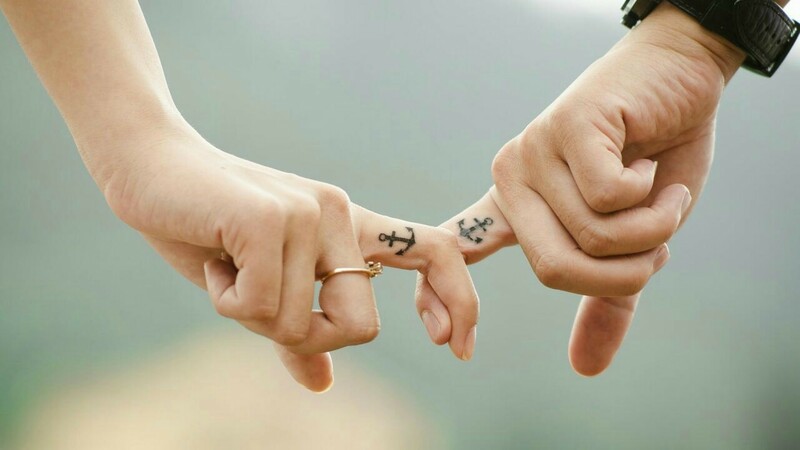 From the tiny matching anchors shown here to universe-inspired ink, there are so many adorable, fashion-forward tattoos that are perfect for your digits. 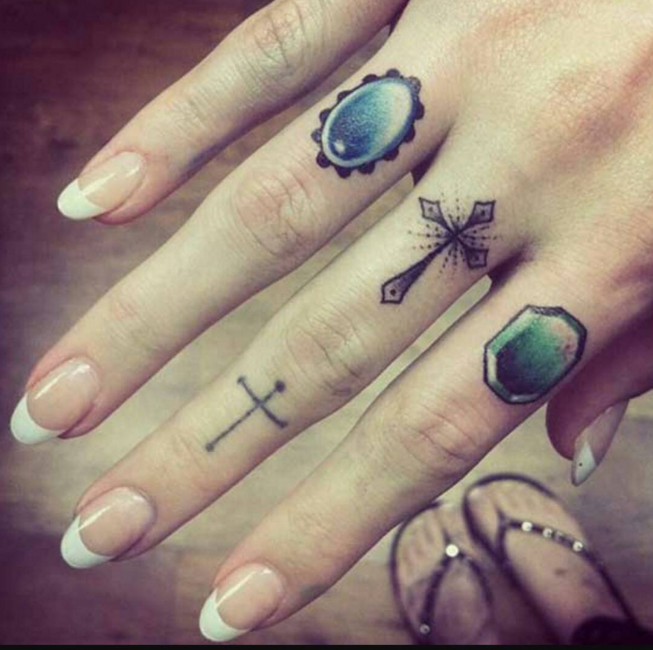 Check out all this tattoo inspo and you’re gonna be itching to head to your local parlor ASAP. 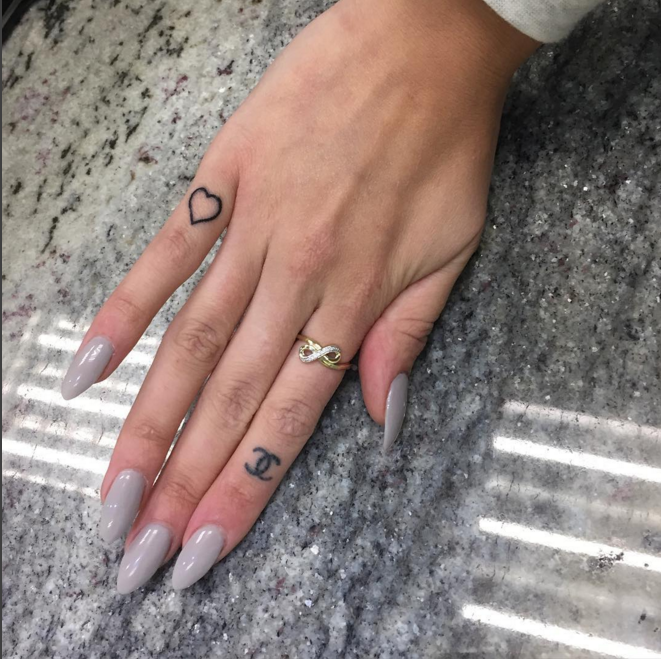 These celesital finger tattoos on shaaanxo are bright and fun. Instagram user girlietattoos shows us all how cute a little bow tattoo looks wrapped around a finger. 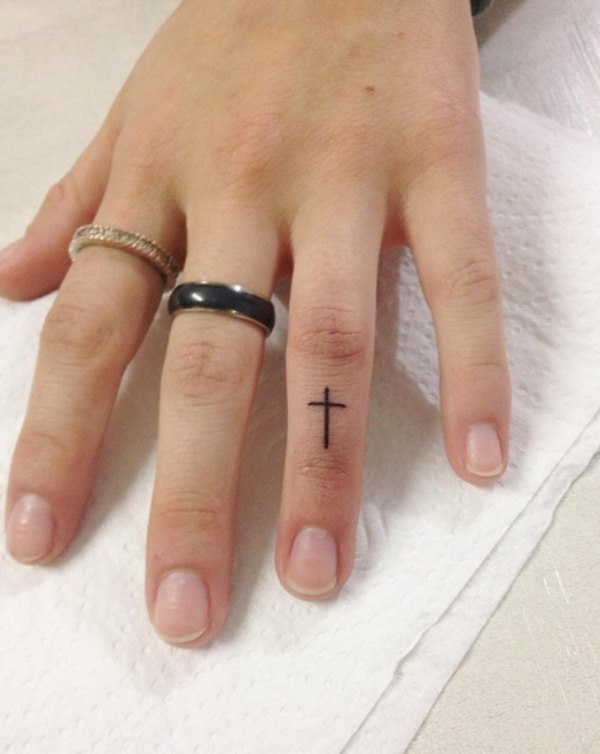 Oliver Tattoo Shop‘s cross finger tattoo is perfect for someone in tune with their faith. Markie Meghan‘s lotus tattoos are not only incredibly beautiful but also reflect a deeper spiritual meaning. 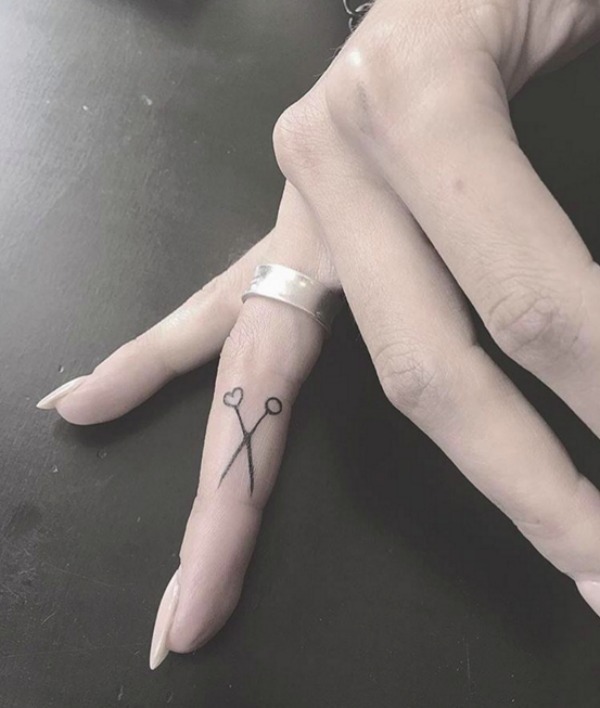 For something very original, be inspired by these little scissors from Full Moon Tattoo. You can’t get more chic than a fashion logo tattoo. 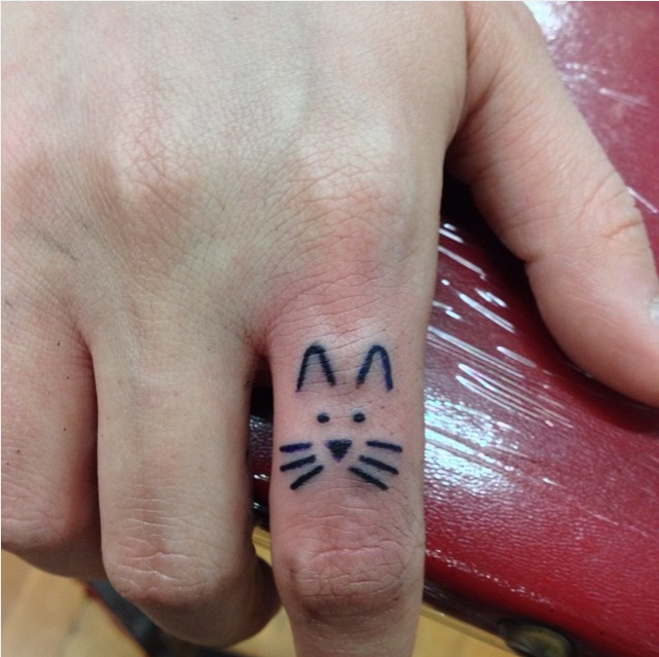 Instagram page Tiny Tasteful Tattoos is dedicated to featuring the most enviable small tattoos. I mean, the kitten situation isn’t really hurting. Perhaps the tiniest tattoos in the world, these dots on Beth Taylor look great. 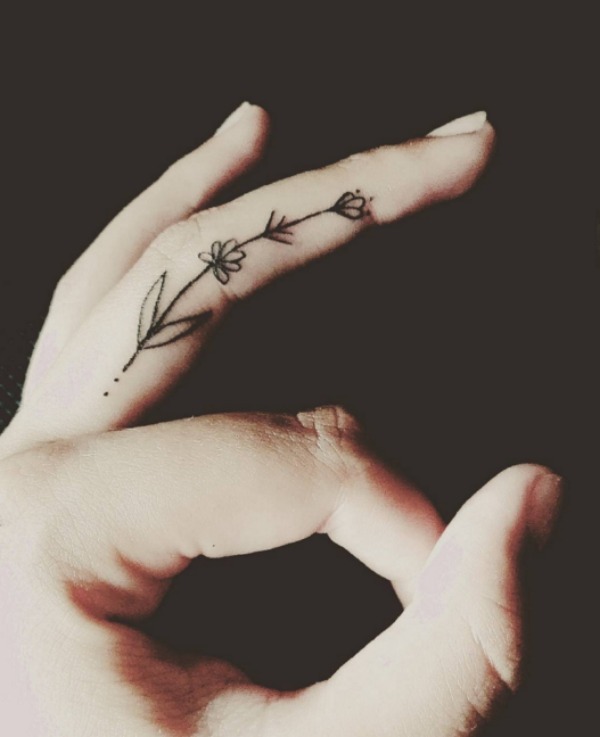 Paula-Marie Roller proves just how pretty and delicate flowers look as finger tattoos. 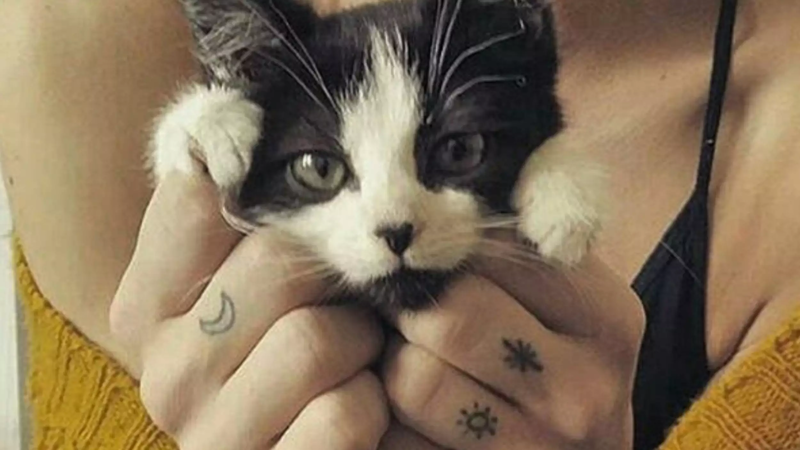 Cat lovers, this one by tattoo artist jaycal73 is for you. 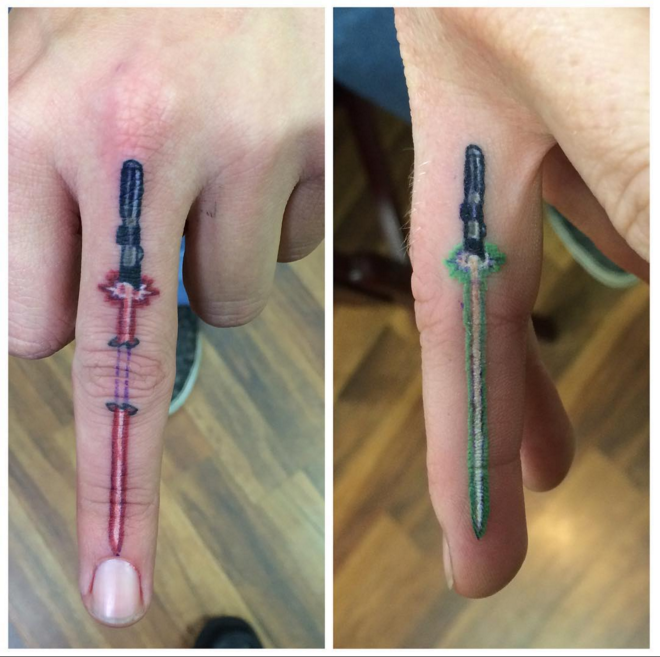 OK, not exactly fashion-forward, but we love these Star Wars ones featured on fuzzytattoo.